Private Revolution is now on sale as part of Amazon's Great Debuts Sale! Get your copy here! 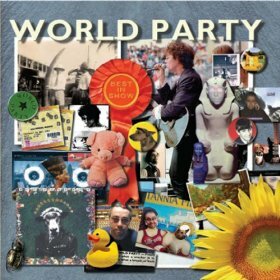 World Party Best In Show is now on sale at Amazon through March 15th! 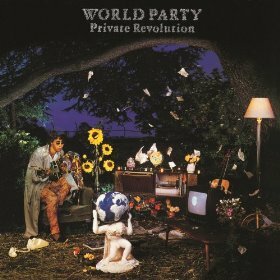 Come singalong on World Party's biggest US tour in decades! To see all the dates for the 2014 USA tour and information on where to buy tickets, please head over to our Tour page! We are playing at 2pm on Thursday 31st October at The Royal Albert Hall's Cafe Consort as part of the BluesFest Daytime Stroller! Tickets are available here. It is with real sadness ( I know this because I keep on crying!) that I have to announce the departure of the one and only Ringo Wallinger, a small terrier mongrel from a dog's home north of London! He was born on the border with Wales. He went with a few brothers and sisters to this dog's home after leaving the farm? he grew up on. One day a family from North London travelled up to this place in order to return with a dog.....hopefully. The father was allergic to dog fur and needed to find a dog that didn't give him a permanent cold. In order to check this he asked if it would be possible to sniff each one. They indulged him. Lots of sniffing later, to his amazement, it seemed he had found the ideal dog. I mean I use the word ideal in its widest sense. But he was the ideal dog. Unique. Nuts. Complex. Possessing a great sense of humour, anxiety (when breaking rules), loyalty, suspicion, illogical suspicion, logical suspicion.......in fact he was pretty much a real 3D personality. He taught us all the true purpose of relaxation. He sold us the idea of having fun without doing any "consumerising".....as he liked to call it. The fact is that he taught me an awful lot, considering he never said a single word.....He was a gifted singer. He was an athlete. He developed moves that kept him ahead of the two greyhounds chasing him. (doing a spot "tumble-turn" that the speedy greyhounds could not match). He had a refreshing attitude to intimacy. He had no idea about where to put things. What was feasible. How tall or short a dog would make the perfect partner? For a short dog it took him a long time to work out that greyhounds, for instance, were not really compatible. He knew how to get me to prepare him a late night snack. He is superimposed on the end of the What Does It Mean Now video ( available here: http://youtu.be/4Bc56d0jtdk ) Anyway, he had been with us for sixteen years until two saturdays ago. It wasn't a long drawn out passing.....After a steady and fairly rapid decline he became quite frail. On his last night he just sat out in the garden and sniffed the air as the leaves all rattled and rustled around him on a swirling breeze. He had an ancient mystical presence out there that night, he was philosophising. Whether its him I miss or just having a creature to project these thoughts onto, I couldn't honestly tell you the facts. But how can you miss something, someone, so bad. I personally find it all very real. I just really miss Ringo the Dog! I find myself constructing a video and finishing a song, mostly by John Turnbull called "Little Ray OF Sunshine" - its bloody good with the pictures of the Og (Ringo's nickname!) I'll let you know if I post it........ Anyway all this rambling is to let you know that one of the "greats" has left this life....Ringo Wallinger. If you have mailed in a request to join our mail list and have not heard back please try again and you will find that it does happen! !